If you notice both of the servers that we added the Central Administration web site to are present, however if you look that the URL on the right. Its doing a redirect to http://lab-indx:22222. Which is not what we want to do. Now our Public URL’s for the Zone are correct. If you did not enter a “Custom” zone, you do not need to do the next step. At this point you will be able to access the Central Administration web site via “http://lab-indx:22222” and “http://lab-indx-mr:22222” which should be fine in most cases. 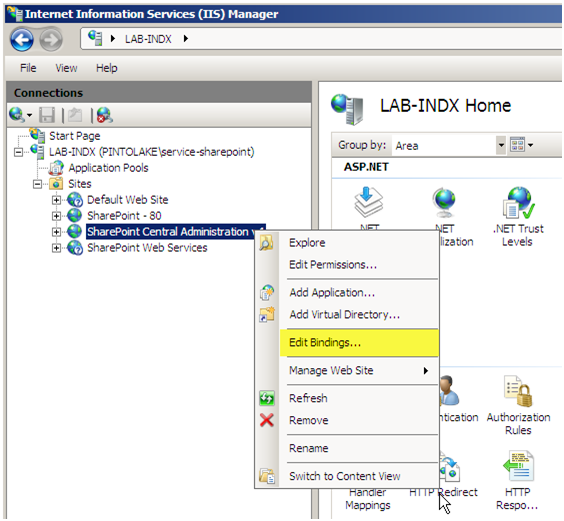 When you create an Alternate Access Mapping it does not change the Bindings in IIS, we need to manually edit the bindings on all servers that are hosting the web application for that host header entry. 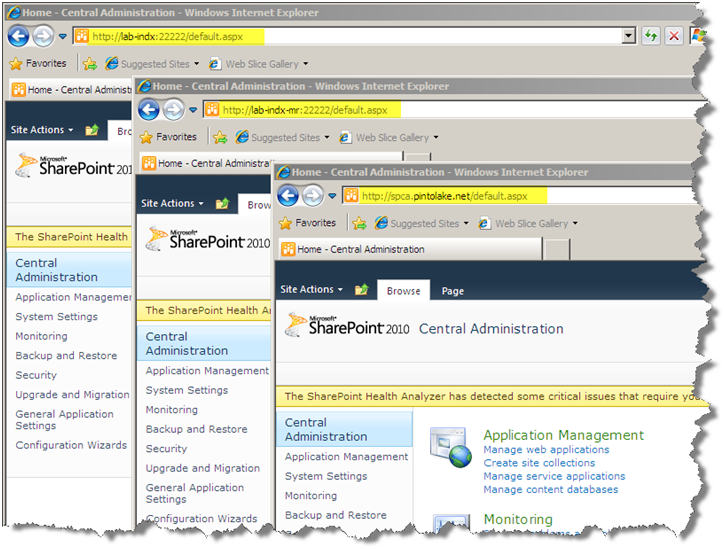 Try to access Central Administration site from all three URL’s. 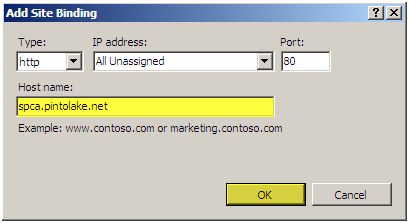 If you cannot access the Load Balanced IP it could that you have to enter the DisableLoopbackCheck on all of your SharePoint 2010 servers including the SQL Server. Perform NLB testing on http://spca.pintolake.net by disabling NLB on each server then testing access from a remote location. This entry was posted on Friday, July 9th, 2010 at 1:22 pm and is filed under SharePoint 2010. You can follow any responses to this entry through the RSS 2.0 feed. You can leave a response, or trackback from your own site. Thanks for the post. It was helpful for when we added a second application server and decided to add a second Central Admin site. Its like you read my mind! You appear to know so much about this, like you wrote the book in it or something. This is magnificent blog. A great read. I’ll certainly be back. Cool – thanks – just what I was looking for – the registry fix for the shortcut on the server pointing to the other nodes is worth doing – here it is – HKLMSoftwareMicrosoftShared ToolsWeb Server Extensions14.0WSS change the CentralAdministrationUrl entry to the server name of the second node.